National Mall & Memorial Parks Officially established in 1965, National Mall & Memorial Parks contains some of the oldest protected park lands in the National Park Service. The areas within National Mall & Memorial Parks provides visitors with ample opportunities to commemorate presidential legacies; honor the courage and sacrifice of war veterans; celebrate the United States commitment to freedom and equality. 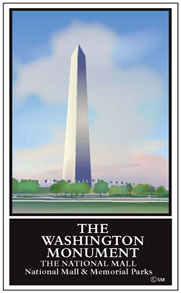 For use with Androids, iPad, and iPhones there is the National Mall app.